Minister, how did your government respond to the economic crisis? We recently issued a report containing all the anti-crisis measures taken since September 2009, when our government took office. I have been responsible for developing a program to stabilize and revitalize the economy. In the third quarter of 2009, the economy declined by 4.9%. We made a very detailed analysis in order to carefully read the situation. Despite the overall decline in 2009 (6.9% of GDP), we managed to grow by 7.1% in 2010 and 6.4% in 2011. Among our neighbours, neither Romania nor Ukraine have grown so much. At present, Moldova's economy has not only recovered, but started growing again. It has diversified export structures and no longer depends solely on agriculture. Yet, the economy remains dependent on the outside: we export finished products, but we import much of what is needed to produce them. For example, Moldova import 95% of the energy and chemicals it uses in agriculture. Such dependence reduces our competitiveness, but we can improve energy efficiency by investing in renewable energy resources such as biomass or wind power. In addition, we must invest in production facilities and infrastructure, so we have financing programs of international donors like the World Bank and the European Commission. I believe growth is important, but it is also important to have a development paradigm. Which model are you thinking of? Moldova's current growth pattern is not sustainable over time because it is based on remittances and imports. Remittances still make up almost a third of GDP. It is important for us that the workforce remains in Moldova, works here, and keeps the money here. Currently, domestic spending capacity depends too much on money coming from abroad. At the same time, the local industry, with the exception of the agricultural and food sectors, does not ensure adequate growth. We export our labour force instead of goods and services – a vicious circle, with no future. During the crisis, we have created the conditions to change this paradigm by attracting investments, producing more services, keeping workers at home, and diversifying our exports in geographical terms, without depending too much on the East. What is needed to make this paradigm possible? The first priority is the education system. Our only assets are agricultural land and people. We must invest heavily in education. Agriculture is an important resource as well, our lands have great qualities and potential. We need to improve the post-harvest management phases, like processing and packaging. Here, we can cooperate with international companies with expertise – Italian, Greek, Spanish, and French. Lastly, we must penetrate new markets such as Japan and become competitive within the European Union. Let us take the example of Italy. Last year, exports to Italy have grown significantly and currently amount at 9% behind Russia, Ukraine, and Romania. The competitive potential and quality-price ratio of Moldova's products remain high. How much weight do remittances have and how are they used? The impact of remittances is ambivalent. In recent years we have witnessed their growth, because migrant workers have improved their working conditions and earn more. Part of the remittances are used for consumption. Much of the population had not had sufficient consumer goods like television, cars, etc... It is not a matter of excessive consumption, but rather the compensation of a previous imbalance. Part of the resources are channelled into the real economy through the banking system. In recent years, we have noticed an increase of capital deposited by Moldova's citizens, which has also improved the credit system. There has been an increase in the number of financial intermediation institutions and of the confidence in them. Do you believe remittances can be invested in public projects and development, like a village school or a small business start-up ? We strongly believe in entrepreneurship. The Ministry of the Economy created a special program for attracting remittances. It is a pilot program called "1 +1", because for each Leu invested the State gives you another one. We were inspired by similar programs in other countries. The first step is the training phase with Ministry officials and private sector experts who explain how to get financing and keep accounts, the sectors and prospects, and so on. Once the investment is planned, we offer all the necessary support and administrative information, plus 100% of the invested sum. Finally, we follow up for three years. The multiplier factor of the support given by the state is 1 to 3. We have now completed the pilot phase of 10 million Lei (approximately 650,000 Euros), which went well, and now we are discussing a wider program with international donors like the World Bank. In the meanwhile, the EU has funded another program in this direction. How much does the Transnistria conflict cost Moldova? At first it was very difficult, because the two economies were highly integrated. With the disintegration of the Transnistrian part of Moldova in 1991-92, there was a true economic collapse. 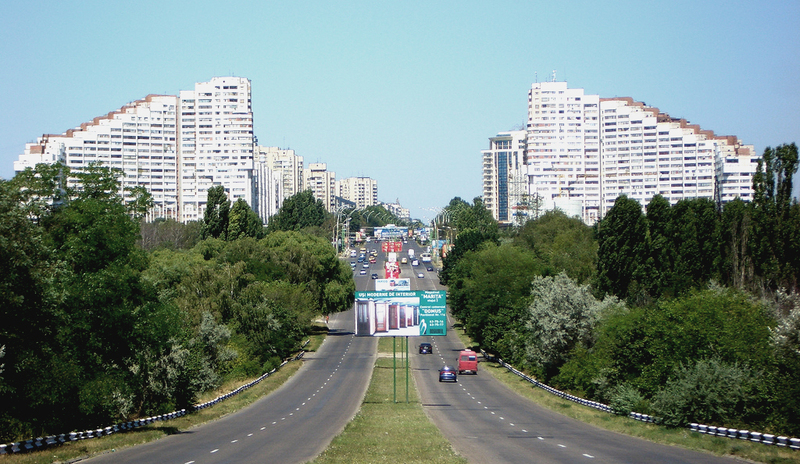 In 1990, Transnistria accounted for 37% of Moldova's GDP and 70% of the industrial potential. This led to a decline until last year, when we started to grow from an industrial point of view, because the relationships have become more stable. Is poverty more common in rural areas? In traditional agriculture, earnings are very low. In Moldova there is little processing of agricultural products and therefore little increase in primary product value. We have experienced a long phase of decline, but now we want to reverse this trend. We offer support through tax policies, mini-companies, packaging systems, refrigerator facilities, registration of companies near the harvest premises – like with cooperatives in Italy, an experience that I know very well. It is very important for programs to diversify production by creating industrial activities in rural areas, creating jobs, and not fostering dependence on primary agriculture. Why should an Italian company invest in Moldova? Italian companies already invest in Moldova! The economic potential is comparable: you don't have natural resources, but good land, a favourable climate, and capable people. We have similarities and historical and cultural affinities that are very important. Italy also is a major producer of agricultural equipment, which we need. In addition, Moldova is the only country that has both a preferential trade regime with the EU and a free trade system with the ex-Soviet area. An industrial product or food that is produced in Moldova can be sold duty-free on one side or the other. Moldova is also very competitive in terms of labour cost. Our labour-intensive products are competitive even if compared to China, because of minimal transportation and logistics costs. Finally, investment risks are very low, therefore we have much room for growth in industrial production.